Running in Stuttgart, Germany. 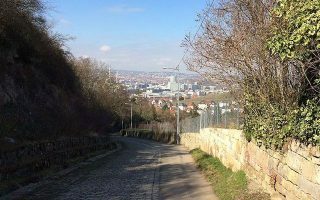 Best routes and places to run in Stuttgart. 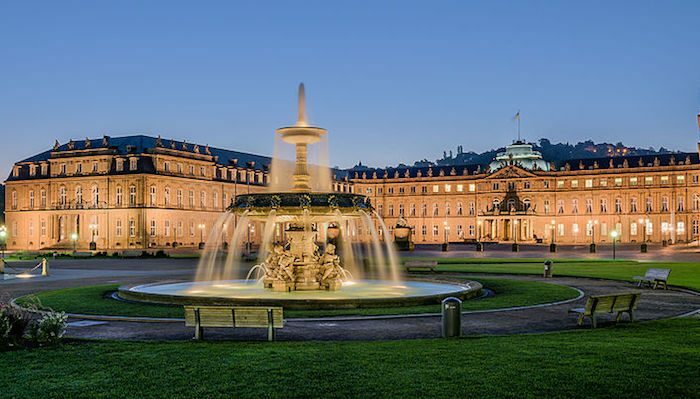 The capital of the Baden-Württemberg state, Stuttgart is located in the “cauldron,” a vineyard-laced valley on the banks of the Neckar River, ringed by a necklace of green hills which blend eventually into Germany’s Swabian Alps and Black Forest. A long-time agricultural center, Stuttgart also become known as the “cradle of the automobile”, with the Mercedes-Benz Museum and Porsche Museum now among the city’s top tourist attractions. 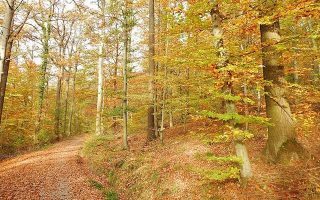 In addition to the numerous cultural attractions, the area’s forests, hills, vineyards and riverside make running in Stuttgart a pleasure. 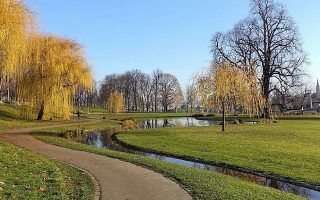 The best places to run in Stuttgart include some beautiful parks and gardens near downtown that are also great for sightseeing, such as the Castle Gardens and Rosenstein Park. Runners can also enjoy waterfront running on the long multi-use path along the Neckar River (including Max-Eyth-See) or the paths around Rotwildpark/Barensee. 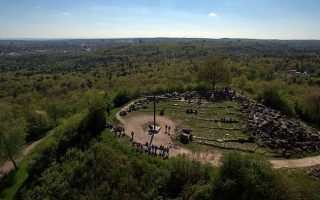 For great views of the city from the surrounding hillside, the Schimmelhüttenweg, Fernsehturm Stuttgart, and Birkenkopf offer plenty of scenery and hill training opportunities. Rösslesweg is a unique 50 km hillside loop around the city that can be used as an anchor for running in Stuttgart. If you visit on a Saturday, don’t miss Parkrun at Kräherwald. Getting around Stuttgart is a cinch. In addition to the U-Bahn local rail/subway, there are buses, a tramway, and the S-Bahn light rail. Our thanks to Sanwald Laufteam, for their help with this guide! Run the grounds of Stuttgart’s old palace at the “Schlossgarten,” a collection of three manicured parks in the heart of the city. Routes up to 7 km can be combined with the Neckar River and Rosenstein Park runs. An iconic path along Stuttgart’s main river system, this 367 km paved route includes a scenic loop around the Max-Eyth-See in Hofen. 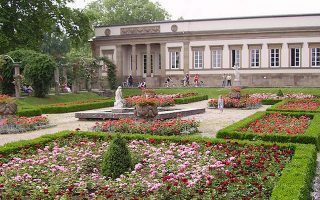 This large park in downtown Stuttgart abuts the Wilhelma zoo and botanical gardens, with a paved loop including architectural gems such as the Rosenstein Palace and Lion’s Gate. 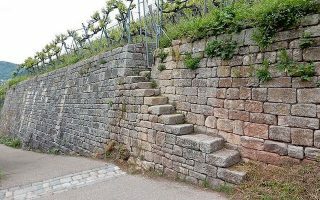 Connections to the Castle Gardens and Neckar River path. 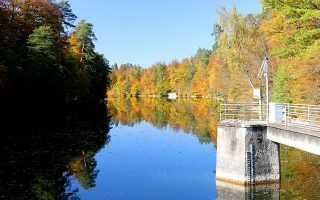 The sprawling Rotwildpark reserve just west of the city include numerous trails such as a 5 km waterfront loop around the Barensee (Bear Lakes). 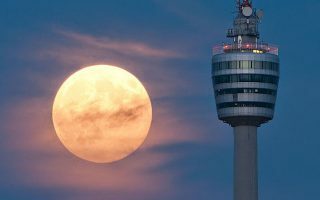 Enjoy some of the best views in Stuttgart from this run to the top of the Fernsehturm Stuttgart TV Tower on Hoher Bopser. 6.5 km of hard packed dirt trail with plenty of add on opportunities. Oval running track located in the area! A 5 km on a stone paved pathway, the pastoral Schimmelhüttenweg is a 5 km out and back path through the Degerlocher Scharrenberg vineyard. Great views of the city from the vineyards surrounding the historic site of the Weissenburg Castle. Follow the spiraling incline to the top of “Rubble Mountain” for fantastic views of the city and a look at a collection of historic remnants from WWII. 5 km out and back with lots of additions. The course of Parkrun loops through Kräherwald Park, a hilly forested ridge with numerous trail running options. Start from MTV Stuttgart and run the 5 km course or a longer loop. Run the highlights of the Rösslesweg, a more than 50 km loop around the Stuttgart hillside. The best sections include Bad Cannstatt to Untertuerkheim and the Birkenkopf. 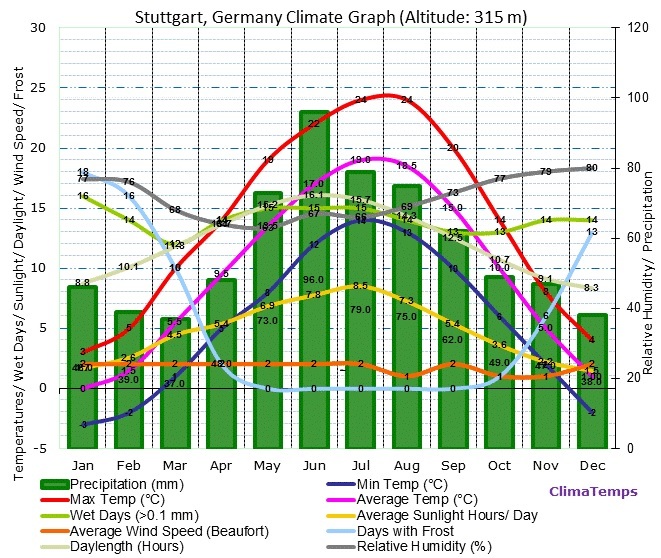 Stuttgart has a climate typical of interior central Europe, with mild summers and cool winters. Mid-summer is pleasant, with average high temperatures in the 24C (75F) range, and nights that cool off pleasantly. Winters are cool but not frigid, with average highs of 3C (37F) and lows a few degrees below freezing. It can snow and be icy. Precipitation is frequent — nearly half of days — and more in the form of downpours/thunderstorms in summer. It can be cloudy and overcast for stretches, especially in winter. Stuttgart hotels are numerous and widespread. While there are several options right downtown, travelers can find several options in most Stuttgart neighborhoods. Use the handy hotel-sorter at Region Stuttgart to find places to stay. Heart and Sole (two locations) and Runners Point are some of the top running stores in Stuttgart. 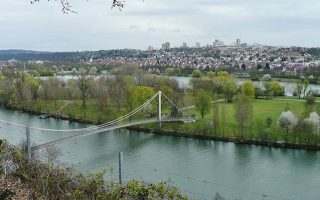 For running groups, check out Stuttgart’s Hash House Harriers, Parkrun, or the Sanwald Laufteam (who helped us out a lot with this guide!). See a list of upcoming races in Baden-Wurttemberg here.